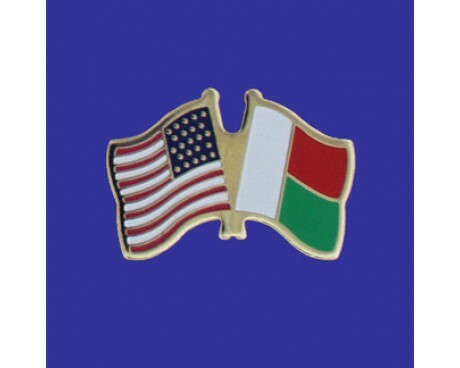 Madagascar Stick Flag - 4x6"
The Madagascar flag that is currently used to represent that nation dates back to the middle of the 20th century following the success of the decolonization movement in Africa. The flag reflects both the nation's colonial history and the unique ethnic history of its people, who can trace their ancestry back to the islands of the Pacific Ocean in addition to Africa. The flag of Madagascar was adopted on 14 October 1958, two years before the independence of that nation, as Madagascar prepared for a referendum on its status in the French Community. The colors of the flag represent Madagascar's history, yearning for independence, and traditional classes. Red and white were the colors of the Merina kingdom, which succumbed to France in 1896. They were used in the flag of the last Merina monarch, Queen Ranavalona III. They may indicate the ethnic origins of the Malagasy people in Southeast Asia, and are shared by the flag of Indonesia. Green was the color of the Hova, the largest class of peasant commoners, who played a significant role in anti-French agitation and the independence movement. 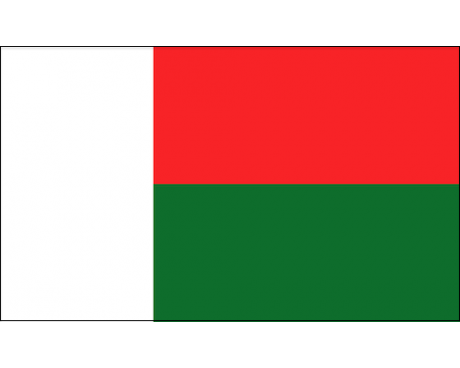 The current flag of Madagascar has two horizontal bands of green and red with one vertical band of white running along the hoist. The red and white bands are reflections of the nation's ties to the Pacific, but the green band comes directly from the culture of the Malagasy people. It is a representation of the traditional Hova caste, which played a leading role in the nation's struggle for independence from France. It also represents the fact that Madagascar is distinct from the states of the Pacific even though it can trace its heritage back to them. It is the perfect Malagasy flag, for the flag is a descendant of Pacific designs that remains distinct from them, just like the people of Madagascar themselves. 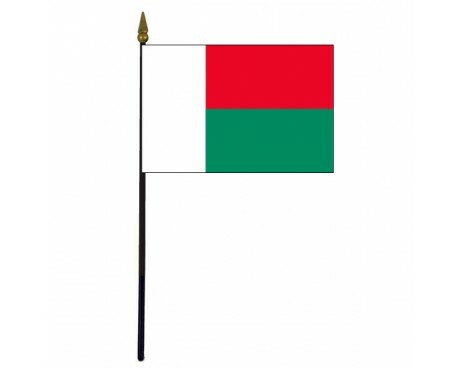 The first Madagascar flag in recorded history was also a Malagasy flag that represented the people. It was flown by the Merina Kingdom, which adopted the flag several hundred years after it first rose to power in Madagascar. The flag was a horizontal bicolor of white and red, which bears a strong resemblance to many flags used by the people of the Pacific Ocean. The colors have strong symbolic value among the people of the Pacific, and their use in the flag of the Merina Kingdom was most likely a reflection of the kingdom's ethnic heritage. The flag fell out of use in 1885, when the government of France began to exert control over Madagascar. 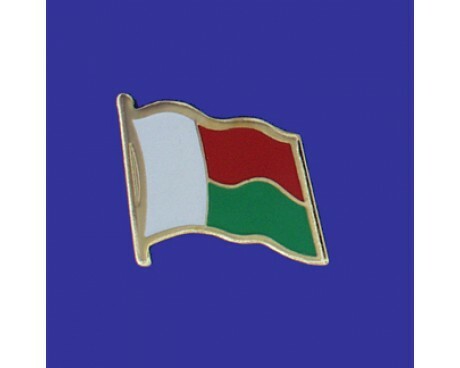 France established the Malagasy Protectorate in 1885, and Madagascar began to use a new flag at the same time. It was a horizontal rotation of the French tricolor with a red crescent near the hoist. It was replaced by the normal flag of France in 1896 when France centralized its control over Madagascar. The modern flag came into use in 1958, which was two years before the nation formally became independent. It is the only national flag that Madagascar has used since it became independent from the nation of France.